The United States Fish and Wildlife Service (USFWS or FWS) is an agency of federal government within the U.S. Department of the Interior which is dedicated to the management of fish, wildlife, and natural habitats. The mission of the agency is "working with others to conserve, protect, and enhance fish, wildlife, plants and their habitats for the continuing benefit of the American people." The leader of the FWS is the director of the U.S. Fish and Wildlife Service Daniel M. Ashe, of Maryland, who was confirmed on June 30, 2011, succeeding Sam Hamilton. Among the responsibilities of the FWS are enforcing federal wildlife laws, protecting endangered species, managing migratory birds, restoring nationally significant fisheries, conserving and restoring wildlife habitat, such as wetlands, helping foreign governments with their international conservation efforts, and distributing money to states' fish and wildlife agencies through the Wildlife Sport Fish and Restoration program. The vast majority of fish and wildlife habitat is on non-federal lands. Therefore, the FWS works closely with private groups, such as The Partners for Fish and Wildlife, Partners in Flight, Sport Fishing and The Boating Partnership Council, to assist voluntary habitat conservation and restoration. The FWS employs approximately 9,000 people and is organized into a central administrative office (in Arlington, VA), eight regional offices, and nearly 700 field offices distributed throughout the United States. The USFWS originated in 1871 as the United States Commission on Fish and Fisheries, more commonly referred to as the United States Fish Commission, created by the United States Congress with the purpose of studying and recommending solutions to a noted decline in the stocks of food fish. Spencer Fullerton Baird was appointed its first commissioner. In 1903, the Fish Commission was reorganized as the United States Bureau of Fisheries. 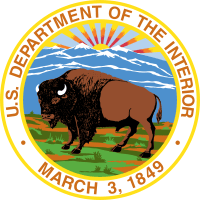 In 1885–1886, the Division of Economic Ornithology and Mammalogy (in 1885 it was the Section of Economic Ornithology) was established within the United States Department of Agriculture. In 1896 it became the Division of Biological Survey. Its early work focused on the effect of birds in controlling agricultural pests and mapping the geographical distribution of plants and animals in the United States. Clinton Hart Merriam headed the Bureau for 25 years and became a national figure for improving the scientific understanding of birds and mammals in the United States. Jay Norwood Darling was appointed Chief of the new Bureau of Biological Survey in 1934; the same year Congress passed the Fish and Wildlife Coordination Act (FWCA), one of the oldest federal environmental review statutes. Under Darling's guidance, the Bureau began an ongoing legacy of protecting vital natural habitat throughout the country. 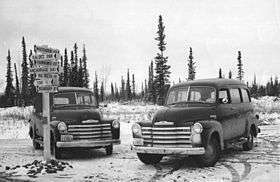 The USFWS was finally created in 1940, when the Bureaus of Fisheries and Biological Survey were combined after being moved to the Department of the Interior. The Service governs six National Monuments; Hanford Reach National Monument in Washington state; Papahānaumokuākea Marine National Monument, a huge maritime area in the northwestern Hawaiian Islands (jointly with the National Oceanic and Atmospheric Administration (NOAA) and the State of Hawaii); World War Two Valor in the Pacific National Monument in Alaska, Hawaii and California, jointly managed with The National Park Service; Pacific Remote Islands Marine National Monument, the largest marine protected area in the world (in consultation with NOAA; the Rose Atoll Marine National Monument in American Samoa (with NOAA and the American Samoan Government)), and the Marianas Trench Marine National Monument including undersea mud volcanoes, vents, chemosynthetic organisms, and much of the deepest points on Earth (in coordination of management with NOAA and the Commonwealth of the Northern Mariana Islands). Pursuant to the eagle feather law, Title 50, Part 22 of the Code of Federal Regulations (50 CFR 22), and the Bald and Golden Eagle Protection Act, the U.S. Fish and Wildlife Service administers the National Eagle Repository and the permit system for Native American religious use of eagle feathers. However, these exceptions often only apply to Native Americans that are registered with the federal government and are enrolled with a federally recognized tribe. Therefore, many indigenous people that wish to practice their religion continue to face persecution. This has become a modern source of conflict between many tribes and the US Fish and Wildlife Service. In the late 1990s and early 2000s, the USFWS began to incorporate the research of tribal scientists into conservation decisions. This came on the heels of Native American TEK, or traditional ecological knowledge, gaining acceptance in the scientific community as a reasonable and respectable way to gain knowledge of managing the natural world. Additionally, other natural resource agencies within the United States government, such as the USDA, have taken steps to be more inclusive of tribes, native people, and tribal rights. This has marked a transition to a relationship of more cooperation rather than the tension between tribes and government agencies seen historically. Today, these agencies work closely with tribal governments to ensure the best conservation decisions are made and that tribes retain their sovereignty . ↑ Archived November 11, 2012, at the Wayback Machine. ↑ Archived March 6, 2009, at the Wayback Machine. ↑ USFWS - National Organizational Chart. Fws.gov. Retrieved on 2013-08-12. ↑ "Daniel M. Ashe". fws.gov. Retrieved 9 December 2014. ↑ "National Eagle Repository". fws.gov. ↑ "Eagle Parts for Native American Religious Purposes" (PDF). fws.org. ↑ "Title 50 Part 22 Code of Federal Regulations (50 CFR 22)]". ecfr.gpoaccess.gov. ↑ Service, U.S. Fish and Wildlife. "Fish and Wildlife Service - Native American Program". www.fws.gov. Retrieved 2016-05-04. ↑ Berkes, Fikret (2000). "Rediscovery of Traditional Ecological Knowledge as Adaptive Management". Ecological Applications 10, No. 5 (2000): 1251-1262. ↑ Huntington, Henry (2000). "Using Traditional Ecological Knowledge in Science: Methods and Applications". Ecological Applications 10, No. 5 (2000): 1270-1274. ↑ Banegas, Diane, “Native American Students Mentored by Forest Service Scientists,” US Forest Service (blog), April 5, 2016 (1:00pm), http://blogs.usda.gov/2016/04/05/native-american-students-mentored-by-forest-service-scientists/. ↑ "Office of Tribal Relations | USDA". www.usda.gov. Retrieved 2016-05-04. ↑ Program, U.S. Fish and Wildlife Service | Endangered Species. "Endangered Species Program | What We Do | Working with Tribes | Tribal Partnership Stories | American Indian Tribal Rights, Federal-Tribal Trust Responsibilities, and the Endangered Species Act". www.fws.gov. Retrieved 2016-05-04. "Biological Survey, Bureau of". Encyclopedia Americana. 1920.